Recent advances in genetic data generation, through massive parallel sequencing (MPS), storage and analysis have fostered significant progresses in microbial forensics (or forensic microbiology). 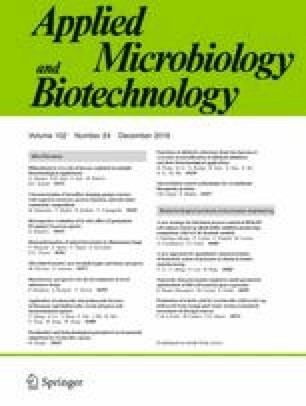 Initial applications in circumstances of biocrime, bioterrorism and epidemiology are now accompanied by the prospect of using microorganisms (i) as ancillary evidence in criminal cases; (ii) to clarify causes of death (e.g., drownings, toxicology, hospital-acquired infections, sudden infant death and shaken baby syndromes); (iii) to assist human identification (skin, hair and body fluid microbiomes); (iv) for geolocation (soil microbiome); and (v) to estimate postmortem interval (thanatomicrobiome and epinecrotic microbial community). When compared with classical microbiological methods, MPS offers a diverse range of advantages and alternative possibilities. However, prior to its implementation in the forensic context, critical efforts concerning the elaboration of standards and guidelines consolidated by the creation of robust and comprehensive reference databases must be undertaken. This study was funded by FEDER - Fundo Europeu de Desenvolvimento Regional funds through the COMPETE 2020 - Operacional Programme for Competitiveness and Internationalisation (POCI), Portugal 2020, and by Portuguese funds through FCT - Fundação para a Ciência e a Tecnologia/Ministério da Ciência, Tecnologia e Inovação in the framework of the project “Institute for Research and Innovation in Health Sciences” (POCI-01-0145-FEDER-007274).